Implement Ed Cooley's transition and secondary offense rules for a high-paced scoring assault! This video featuring Providence head coach Ed Cooley contains a detailed and comprehensive look into how to execute an aggressive running offense. In his high-energy presentation, Coach Cooley breaks down the fast break offense position by position. You'll learn how to transition into a fast, physical, and connected offense from the moment your team gets the rebound. Cooley shows how to build an attacking offense off of made baskets to keep continued pressure on your opponents. Coach Cooley goes into great detail about how to plan for multiple defensive coverages, ensuring that your offense has an effective counter for anything the defense throws at them. He shows the Laser/Roadrunner organized break as well as the terminology used to give each player a role and an area of the floor to occupy. You'll see options for baseline drives and kicks, how to a hit a runner in the middle of the floor, and how to move the basketball to get an open shot or layup. How to isolate and position your big man in transition. How to deal with switching defenses. Multiple ways to flow seamlessly into the secondary break. Transitioning into the secondary break and continuing to press the offensive advantage in transition is an under-emphasized facet of the game for many teams. 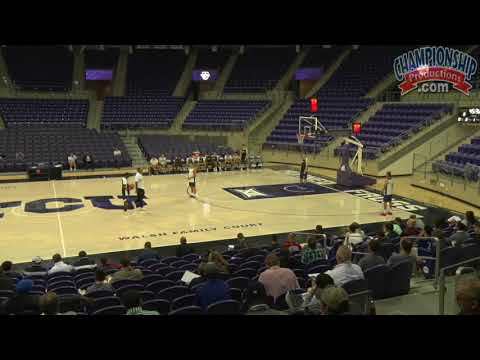 By utilizing multiple ball screens with a variety of options out of every set, Cooley gives coaches and players a wealth of practical information about how to create mismatches, 2-on-1 advantages, and easy 3-point shots for your best shooters. In addition to X's and O's, Cooley spends time showing how to reach players, build confidence and increase buy-in from your team while building a fast-paced, attacking offense. Don't miss this opportunity to learn from a highly accomplished coach and basketball strategist. Coach Cooley's presentation on the transition offense and the secondary break is a treasure trove of insights and information that will translate directly into more points scored and a more efficient offense for your team!